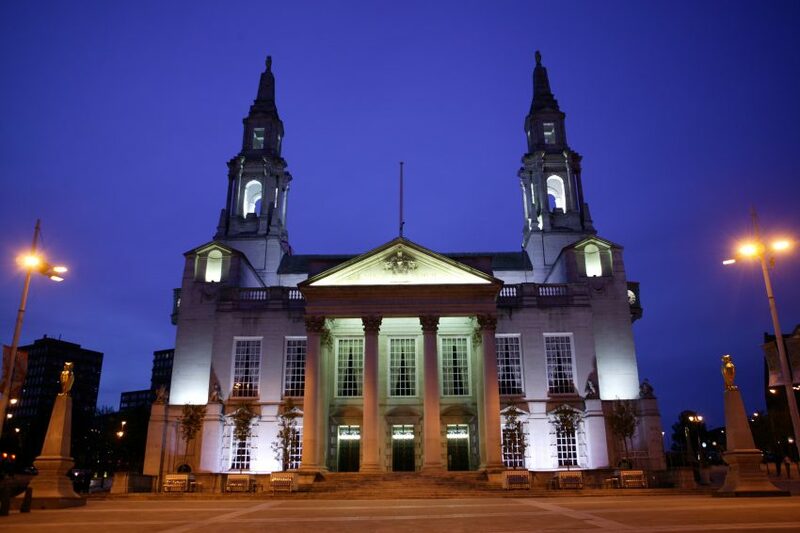 Students representing Lawnswood School, in Leeds, attended a service on 9 July in the city's Civic Hall to commemorate the 20th anniversary of the Srebrenica Genocide. Noor Algharbeh has written this article about the service. In the memory of Srebrenica genocide we cried over the taken lives, we sympathised with all the widowed women and orphan girls. In honour of all the victims this memorial was held to remember and pass on what happened in that summer of 1995 which took away the lives of all Bosnian Muslim men and boys. A crime against all human rights and all morality. 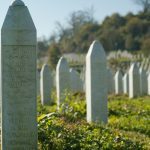 The story of Srebrenica is to be told, and is to be carried to our future generations! Troops holding flashlights would walk between the families at night locating every man and taking him away from his family. The shouts and loud cries of mothers, wives, daughters and sisters were heard upon this violent attack. Men weren’t even allowed to take their belongings. No one knew where they would be taken to and no one knew what would happen to them. But, what was certain is, none of them were ever seen again. Men were kept hostages in schools and warehouses for days then taken into rural areas for systematic killings where they were asked to lie on the ground and were brutally shot one after the other or left there to suffer until they passed away. The survivor Samir Dizdarevic was a speaker at the memorial service held in Leeds civic hall where he explained the atrocious experience he went through the day they dragged his father away from him. During his speech he teared up upon remembering that sad moment of his father’s body being found on the floor in pieces. Zeynab Ahmed hosted this memorial in remembrance of the Srebrenica genocide where the Lord Mayor of Leeds Judith Chapman took part in the Memorial Day to speak about her participation in helping the mothers of Srebrenica. MP’s such as Greg Mulholland and Stuart Andrew attended the event and spoke about their experience with the survivors and the help they provided.Even though the MP Hilary Benn couldn’t attend he spoke through an audio message. We also had the pleasure of meeting Dr. Rachael Julian from Leeds Beckett University she is the head of the political and peace studies department during the event she spoke about the importance of such tragedy. As a part of the culture and diversity forum we had the privilege of taking part in such an event by reading poems and prayers to remember the lives of innocent people. Miar Cave and Hannah Whitaker are both year 7 students that had the courage to stand in front of the public and read a prayer which engaged the audience. Esmail Alhaji and I read a poem known by the name “Tormented Hearts” which took the hearts of the audience. By the end of the event, the closing prayers were made by the Imam Qari Asim from Leeds Makkah Mosque, Reverend Heston Groenewald from church Hallows and Rabbi Ian Morris from Sinai Synagogue. This service was an excellent example of communities and faiths working together to make the world a better, more peaceful place. We brought resources back from the event and passed them on to the History and RE department so that others at Lawnswood could also learn some of the truths and lessons from this horrific event.